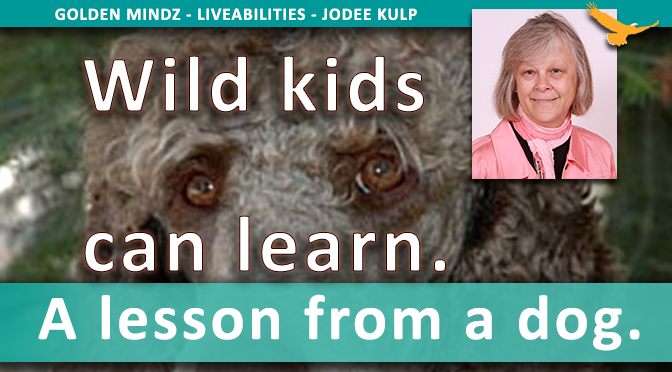 How a wild dog taught me how to guide persons to learn new skills with experiential learning. 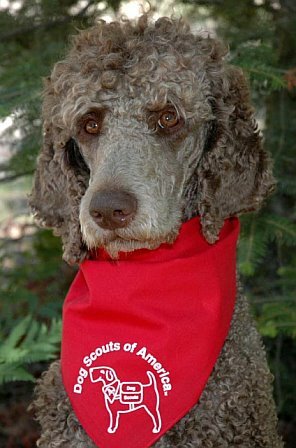 With a twist of the head and a chuffa chuffa (laugh) he zoomed passed me on a final long recall in his Dog Scout Test – I was faster. I stopped. He stopped. He mirrored me and won the coveted Dog Scouts Title. Mak taught me the simple steps of teaching that has proven again and again to allow people I love to soar. And it doesn’t matter if any of the steps need multiple practices before you move on to the next – remember slow is solid. PRE-STEP – Give permission to be frustrated. When you are guiding a person with challenges to learn something new – respecting the person is very important!Keep instruction, statements and steps to complete less than 12 words! If learning is not taking place break the task down into smaller steps. For some people it may take many “Watch me do this” when this is the situation. When that is the case I teach from the last step forward. That way they are always succeeding by building on the finish instead of failing because they get overwhelmed. As my father always say if you can’t do it one way turn it upside down! I let the person complete the final stage first and teach the process backward so that they are succeeding instead of failing. Success changes the enthusiasm and outcome a gazillion percent! YOU MUST CHECK IT OUT BY YOURSELF! We review the options of how to teach so we have a backup plan. We make the initial calls, visit the site and discover the details. This helps avoid failure in the first teaching/learning session. We tell our child what she is going to learn and take her through the process to accomplish the task. In this first step she is the observant participant with us – we do not require learning. She asks questions and we answer as simply as we can. We may show, guide, read, point out, role model, dramatize, and laugh a lot! We make this fun. We also may share some of the funny things that happened to us when we tried this the first time. We repeat the experience with her contributing pieces of the learned task. We involve her in the task in fun ways. We allow her to help us in the final pieces – by allowing a person to complete the final step the person is successful in the process. We repeat the experience with her contributing more pieces of the learned task and we begin to step away. We work together and this step may need to be repeated a number of time until person is secure and has the ah ha! She tells me what to do and I laugh and become a partner in “her” learning. She shows me as I watch and then let go. This is her time to do it herself without help but encouragement. Provide time to think and move to the next step. She skillfully and a bit fearfully completes the process, while I sit in a parking lot waiting or stay close to the phone to guide. ‘I Can’, can take a while and when learning is mastered we move on to the Next Step in our adult journey. At this point you may need to return to teaching and support if the person has a day that is very stressful, they are hungry, sick, cold, hot, tired, on new medication. If this learning experience needs to be repeated I recommend you go back to Step 3 and have a good time together. We often miss important steps in the teaching a person. Then the learning becomes fraught with missing pieces and filled with frustration. It leads to being overwhelmed, to meltdown or shut down in fear. Neither help a person learn. This entry was posted in CHALLENGE, CLARITY, CONTINUOUS LEARNING, Jodee Kulp and tagged ADD, ADHD, Teaching a child with fas. Shady just got a dog as a companion dog to help her with her meltdowns! But we are just getting started with teaching him basics. Companion dogs are awesome – hopefully soon I will have a good surprise for everyone to help with the canine companions. I have followed you for years because you were the only voice in the wilderness when I adopted my FASD child at 42. You are a rock!!! I love the concept and wish I had thought of doing this for my daughter when she was younger. I always had dogs but none were her dogs. I have tried many things with my daughter who is now 22 and the thing I find that works the best is a neuropsychologist who provides qEEG followed by biofeedback. It is almost a miracle. I wish they had done it when she was young. I so needed those kind words today. This is such a hard path for all of us… and it doesn’t get easier as navigate adult lives. My hope is that perhaps I can provide some trail pieces that help direct others to live more in balance with less of the caregivers exhausted into illnesses. Again thank you for your thoughtful words.